This guide was created in September 2013 by Ellen G. Schaffer, Visitiing Librarian, Pence Law Library, Washington School of Law, American University. It was updated in July 2016. If you have questions, suggestions or comments regardiing the guide, you can contact the author at eschaffer@wcl.american.edu. Chat Service is offered during Reference Desk hours, and is available to AU and WCL currently enrolled students, faculty and staff. Privacy: Pence Law Library values confidentiality. We may save a copy of your chat session for research or educational purposes, but will remove all identifying information. Each of the tabs listed above provides information and links to key components related to the law of the sea. 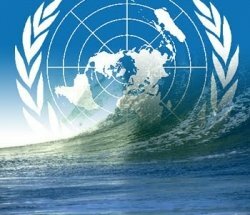 You can explore the history of the three UN LOS conferences, the institutions established by the 1982 UNCLOS III, maritime zones under international law, the United States position on UNCLOS III and also explore additional resources, both online and in print by clicking on the Books and more on LOS or the UN Audiovisual Library on International Law (videos). * Link to the UN’s Division for Ocean Affairs and the Law of the Sea (DOALOS) website. The site includes a lot of information including a brief history of the Third UN Conference on the Law of the Sea, Key provisions of the Convention, the relationship between the UN and the Convention, the future for the law of the sea and much more (viewed 11 July 2016). Analytical Guide to the Work of the International Law Commission, 1949-1997 (In particular, see Section 8 on the ILC's development and codification of Law of International Spaces that includes the law of the sea topics that led to early LOS conferences). Public lecture by Alexander Yankov (in Pacem in Maribus XXXII , 5-8 November 2007, Corinthia Palace Hotel, Attard, Malta. Judge Yankov describes the importance of Maltese Ambassador Arvid Pardo's key speech before the UN General Assembly, 1 November 1967 *. 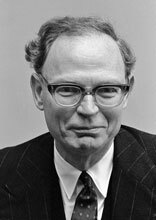 This speech by the man often referred to as the "Father of the contemporary law of the sea" introduced the novel concept of the "Common Heritage of Mankind" that, as it relates to the world's seabed and oceans, formed part of the text of UNCLOS III (Articles 136 and 137)136 and 137 of UNCLOS.